Home Arts & Entertainment The Who: ‘Live at Leeds’ – 5 Stars. 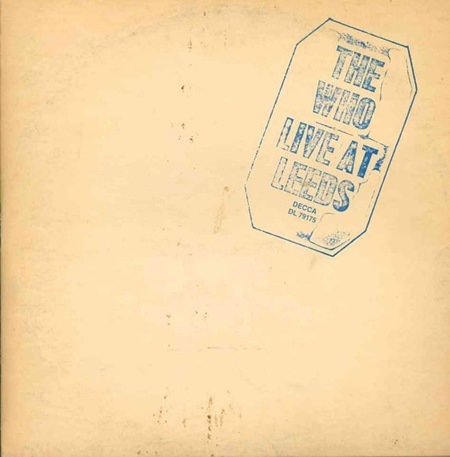 The Who: ‘Live at Leeds’ – 5 Stars. Originally recorded at Leeds University in February 1970 and in the record shops by May of that year, there were many reasons for this album. The Who had been out on the road for a year promoting their rock opera “Tommy” and had no new material to release at the time, so a live album seemed a good idea, which is why two gigs were set up in northern England once the band had returned from Europe. The first of these concerts took place in Hull and the second at Leeds. There were a few problems with John Entwistle’s sound at Hull so the Leeds show was used (Live at Hull just doesn’t quite have the same ring to it anyway, does it?). One of the other reasons for the release was that The Who were such a good live band that it made it much easier for the bootleggers to record them, hence this official version instead. When the album came out in 1970, it appeared in what was supposed to look like a bootleg cover of the era although it was a gatefold sleeve and in the inside covers were many extras for the fans to pore over. The first edition also only had 6 tracks on it, even allowing for the fact that “My Generation” came in at nearly 16 minutes long and “Magic Bus” at just under eight. These numbers had been edited down to allow for the limitations of vinyl. The album was released again on CD in 1985, again in 1987 and then once more in 1995 with extra songs and more banter between the band members. Finally it was released in its entirety in 2001, but this time with the whole of “Tommy” on the second CD whilst all the other songs were compiled together on the first CD. It was not until 2014 that the entire concert was released in the correct running order and with the complete banter between all band members. But back to the gig and what a show it was! The concert starts with the John Entwistle written “Heaven and Hell” where The Who stretch their musical muscle, then playing a few more numbers to really get the blood levels up before we get a string of their early hits thrown in for good measure. We are treated to an outing from the first little mini-rock opera – a story of a naughty old engine driver and a young lass who makes a slight error, but is forgiven by her returning husband. It was a bit of fun before Pete Townshend calls The Who to order and off they go, rampaging through “Tommy” for the next hour. Certain liberties have been taken with the running order and a couple of numbers left out to fit better the electric stage version of “Tommy” (or Thomas as Pete Townshend refers to it.) But this is The Who at their best. John Entwistle’s bass literally pops along, holding together each song, whilst Keith Moon is Keith Moon, never was there a drummer like him and never will be again. Roger Daltrey had by this time become a classic rock singer and here he never falters as he belts out each tune. But it’s the man himself, Pete Townshend, who blasts the band through with some literally violent and gifted guitar work and drives them on to many peaks. His vocals when his turn comes are also pitch perfect. At times you can almost hear and feel Townshend’s arm windmilling on his guitar strings. 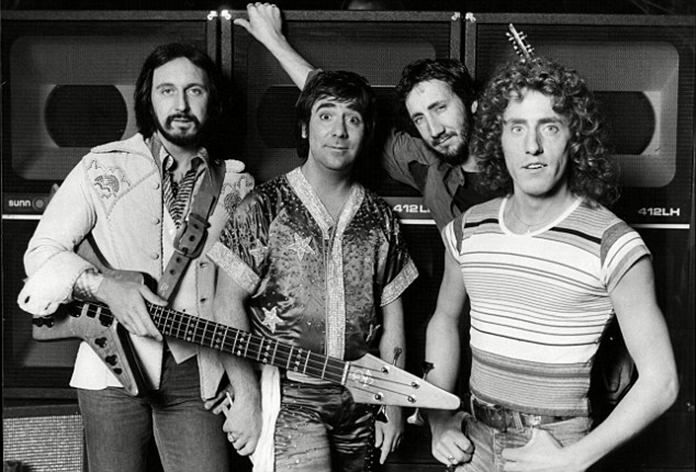 The Who (from left) John Entwistle, Keith Moon, Pete Townshend and Roger Daltrey. When the opera comes to an end, band and audience enjoy themselves with some old rock ’n’ roll numbers. The Who hymn “My Generation” includes some false endings, with Townshend dragging the band back in again to carry on cleverly and getting the opening riff to “The Seeker” to bounce off the back of the University hall wall. There are also snippets of “Naked Eye” a reprise of “See Me Feel Me”/”We’re Not Going To Take It” and a slice of the underture not played in the opera. To finish of course we are all taken off in the “Magic Bus”. The Who were one of the best rock ’n’ roll live bands in the world from 1969- 1978, before poor old Keith Moon succumbed to his hedonistic lifestyle. This album is a fine monument to the time. See Me, Feel Me, Touch Me, Heal Me/We’re Not Going To Take It. Note: Written by Mott the Dog and Hells Bells. Mott the Dog and crew can often be found composing a rock opera or two round the table at Jameson’s, Nova Park, Soi AR in north Pattaya.